Just after our Katherine Dunham Research Showcase, I spent a few days in Cape Town, South Africa, to attend a conference dedicated to the relationships between Cuba and Africa. Let’s just say that this topic could not be more relevant for my on-going research project. The conference, entitled Cuba & Africa. 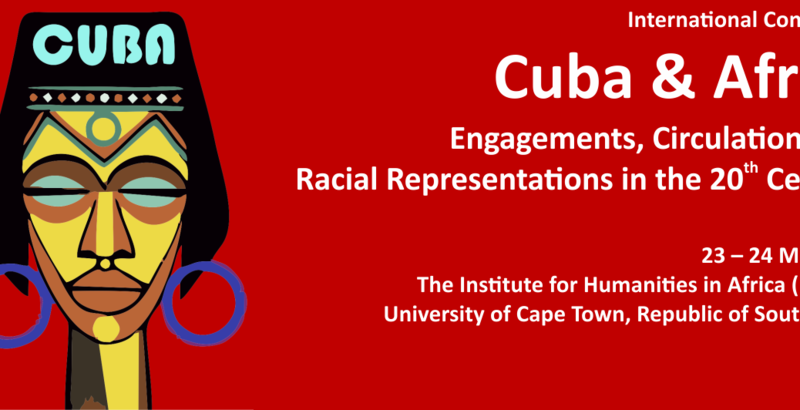 Engagements, Circulations and Racial Representations in the 20th Century was held at the Institute for Humanities in Africa (HUMA), University of Cape Town, on the 23rd and 24th May 2016. Conjointly organised by Kali Argyriadis, Giulia Bonacci, Modern Moves’ friend Adrien Delmas, director of the French Institute of South Africa, and placed under the charming hospitality of Shamil Jeppie, the international 2-day conference gathered academics from everywhere in a very friendly and multilingual atmosphere. Although the connections between Cuba and Africa may seem obvious regarding cultural, musical and religious practices in Cuba, yet the involvement of Cuba on the African continent from the second part of the 20th century to today is still underestimated in the realm of academic research. Therefore, the topics addressed during the conference offered a rich and precious wealth of information and knowledge for the researcher interested in this aspect. A very attentive audience. Photo by Camille Forite. 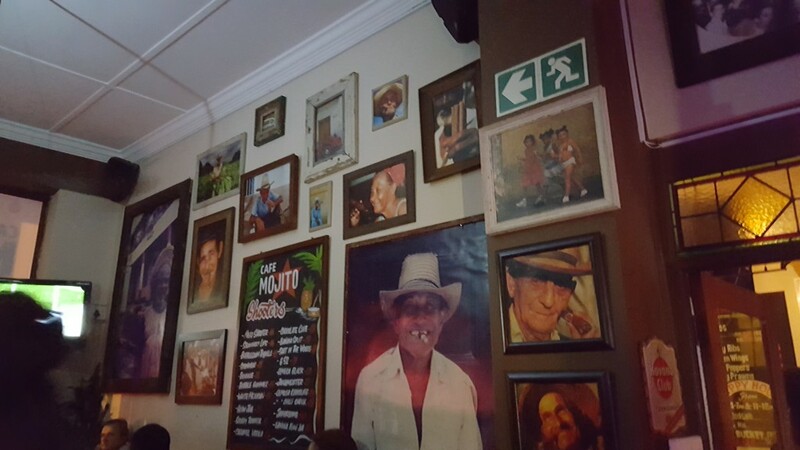 The role and stay of Cuban soldiers, anthropologists, religious priests, doctors and musicians have been addressed, as well as the political, military and ideological fight led by Castro’s government against Apartheid in South Africa. Perspectives from Cuba on the one hand and Nigeria, Angola, Congo-Brazzaville, Congo-Kinshasa, Equatorial Guinea, Ethiopia, Mali, Algeria, South Africa on the other hand have been presented. Some other papers very relevantly and critically engaged with a debate towards Cuba’s geopolitical implication in African issues from the viewpoints of the anti-Castrist Cuban-Americans as well as from a comparative study between different Latin-American approaches to pan-Africanism (Cuba, Venezuela, Brazil). The economical, geo-political and ideological issues at stake in Cuba’s involvement in Africa during the Cold War have been thoroughly explored from different and complementary perspectives as well as at a more intimate level. On the one hand, some papers indeed expounded on how the life of Cuban anthropologists, soldiers and doctors sent during military operations in African countries has been irremediably transformed by this experience. On the other hand, others showed how the presence of the Cubans deeply marked the memories of African populations that have been in contact with them. 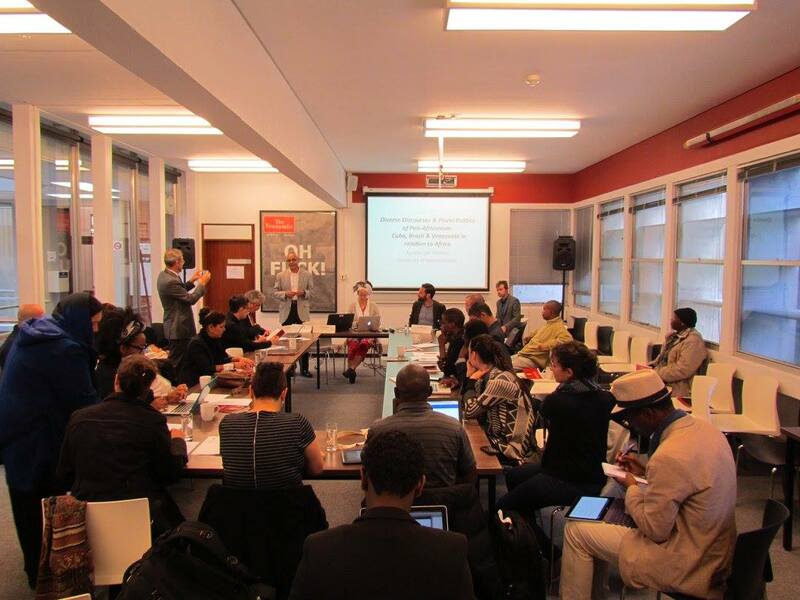 The transnational experiences of African students sent to Cuba to get trained in various fields have also been addressed, whether they remained there and formed a diasporic community, travelled back and forth or returned to their home countries. The papers about the shaping of a transnational religious practice through the reciprocal travels of Yoruba and Santeria priests were also particularly striking. Some untold stories have been brought to light during these two days and hopefully this pioneering conference will open the path for the development of a research network, publications and further encounters and exchanges. 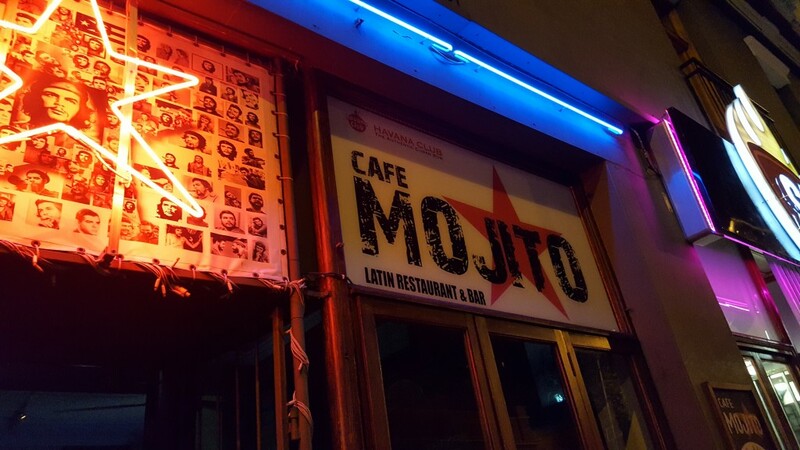 Drawing on this renewed apprehension of Black Atlantic exchanges between Cuba and Africa, the heteroclite posse of the conference celebrated these fruitful two days in nowhere else than in a Cuban-like concert-bar called Café Mojito considered the “little Cuba of Long Street”, the main entertainment area in downtown Cape Town. 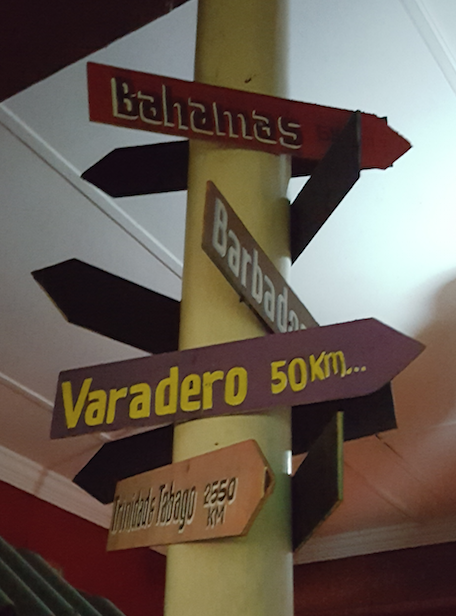 Only 50km from Cape Town, South Africa to Varadero, Cuba: good to know such shortcut! Moreover, we danced personal interpretations of a crazy mix of moves, drawing on Afro-Cuban rumba, Puerto Rican and Cuban salsa, Angolan kizomba, Jamaican dancehall, Dominican merengue, Cameroonian makossa, Congolese ndombolo, Ivorian coupé-décalé and the like to a live band led by a very talented Congolese singer performing a full range of African and Caribbean hits, from Senegalese mbalax to Myriam Makeba’s Pata Pata via reggae and soukouss among others. Live music by singer Eric Omba Yindje. This last evening together certainly highlighted significantly the intellectual sharing and interpersonal exchanges that occurred during the conference. 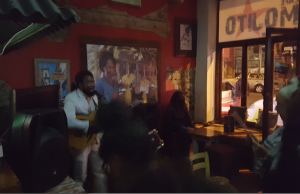 Once again, the Black Atlantic space was enacted and connected through bodies, songs and dance moves by a heterogeneous crowd unified by its shared interest in the historical and contemporaneous encounters between Cuba and Africa. All photos by Elina Djebbari unless otherwise specified.